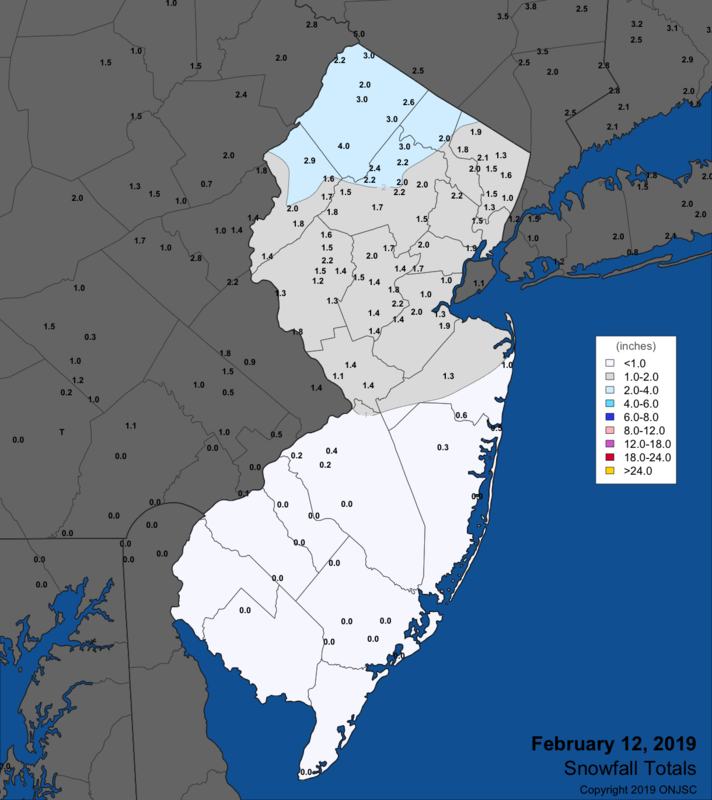 Notes: Snow totals are posted for events where at least one station in NJ reports 2 or more inches of snow. "CoCo" denotes observations from the CoCoRaHS precipitation observing network. 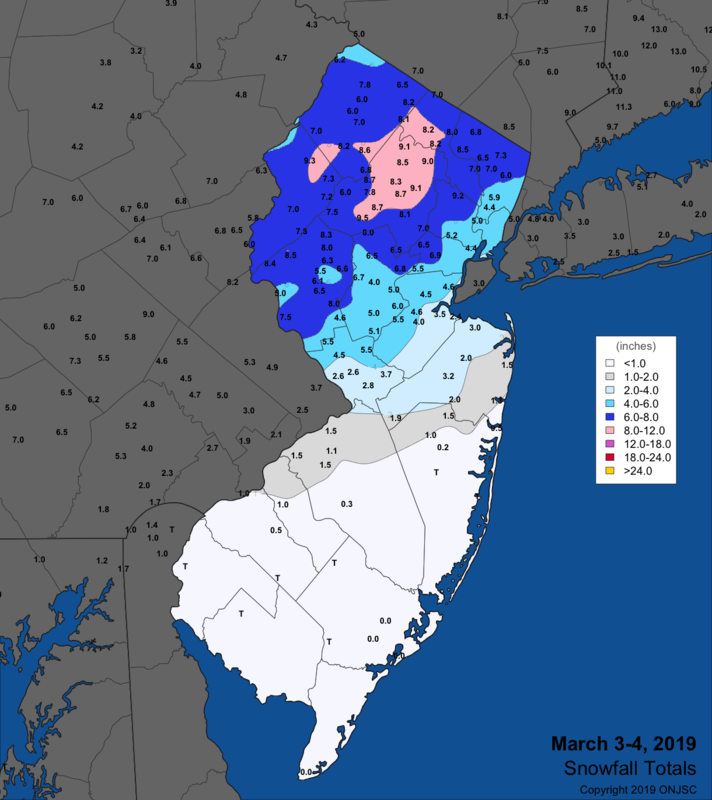 "Coop" denotes observations from official National Weather Service Cooperative Observer Program stations. 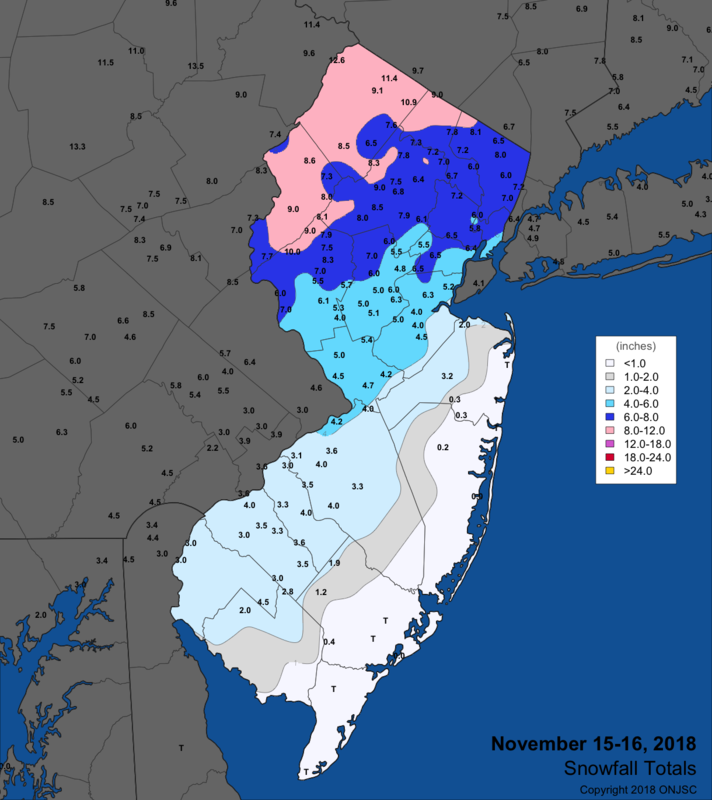 The remaining reports are obtained from spotter and public observations sent to the NWS and Office of the NJ State Climatologist. To view winter storm totals collected from previous winters, please visit our archive page.